Pastor at The House of Yahweh breaks down the Book of Revelation and reveals what the passages have to do with current times. 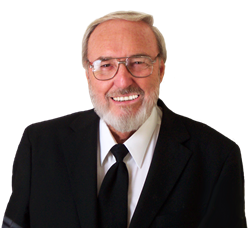 Yisrayl Hawkins, Pastor and Overseer at The House of Yahweh in Abilene, Texas, has written a new post this week explaining what he says is Bible Prophecy being played out right now. Yisrayl says much of what is going on in this generation was written and predicted in his books, The Mark of the Beast, Volumes 1 and 2. Yisrayl says he will break down Scriptures that have stumped scholars for years and reveal meanings to never understood scriptural passages. “The Holy Scriptures contain everything you need to know about past, present and future events that are relevant to salvation. There are no wasted words, every story and every scenario is written for a special purpose,” Yisrayl adds. Some of the Prophecies written are about surrounding presidents, foreign leaders and news events, just to name a few. Yisrayl also covers organizations such as the Vatican and their role in current Prophecy. He digs deep into the Book of Revelation and breaks down passages that are in complete contrast to Hollywood interpretations. The Pastor says it would be too much information to put in one post but assures the reader they can obtain further information on the topic by searching their free Scripture software called Yisrayl Hawkins Says, found on their website. He says this software allows a person to type in any subject and search the sermons givens on each topic to get answers to any scriptural question. The post is 24-pages and can be found on his blog.